Unfortunately, daily and monthly discount in credit card processing does not refer to a sale or promotional offer. It is defined as the collection of fees a credit card processor takes from your business checking account for services rendered. Some processors offer monthly discount, some offer daily discount, and some offer both. We will go over which is easiest, most transparent, and better for your business! Some merchant service providers take out their processing fees out daily, instead of monthly. This is daily discount. All other fees are taken out at the end of the month in a separate transfer. This is often difficult for bookkeepers because it posts to the business checking account in a strange way. For example, if you have 1 sale in your daily batch for $100 and you utilize PayPal’s invoicing service, then the daily discount of 2.9% + $0.30 will be withheld from your batch deposit. So you will only receive $96.80 posting to your PayPal account. A good bookkeeper will need to split this into 2 transactions: 1) a $100 sale applied to the customer’s account, and 2) a $3.20 payment processing fee. This is not too difficult when looking at 1 transaction for an even $100. But what about when there are 17 transactions in a day all for differing sales amounts? This can quickly get very time consuming. For a high risk merchant account, daily discount is sometimes the only option available. 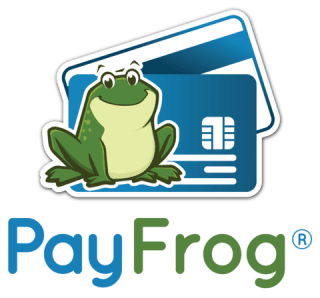 When a processor uses monthly discount, they are essentially giving you credit throughout the month because they are paying the card brands the upfront cost of processing transactions for you. This can be a risk that a merchant service provider isn’t willing to take for a business owner with a history of bill collection issues. When your merchant service provider charges the cost of processing your transactions and monthly fees at the beginning of the next month, it is called monthly discount. It is easier for your bookkeeper to track, and your monthly bill is more comprehensive. There are no hidden fees, and your comprehensive analytics report is much cleaner! This is usually the best way to go for business owners who have a clean credit report of paying bills in a timely manner. If your statement has the phrase “discount paid”, you are probably being charged daily discount. Also, if your bill seems too low to be true, you should have a conversation with your processor anyway. Can’t get ahold of them? Try scheduling a free consultation with us and we will let you know!